This statement really resonated with me. At my nonprofit, we have just kicked off our annual membership campaign and are in the midst of preparing our annual budget and coordinating an in-person Board of Directors meeting in November. These items are, of course, in addition to my regular day-to-day tasks. As a result, like many nonprofit professionals, my inbox is flooded daily with waves of items from members, staff, and volunteers that may or may not be related to the most pressing issues of the day. To further complicate matters, our policy is to turn around emails to everyone within two business days. When I began my work as a nonprofit professional, I did not know how to satisfy these competing priorities. The easiest method is always the path of least resistance, so I would spend the majority of my time responding to emails. Eventually, I realized that, with the absence of a concrete plan of attack, emails were controlling my workflow and I wasn’t accomplishing work that needed to be done. Second, I created To-Do Folders in my email inbox for each of these functional areas. deciding how much time to allocate to each functional area based on emails and outstanding work. Following this, the first fifteen minutes of my day, I open every new email in my inbox and allocate it to the correct functional area To-Do folder. Then, in the second set of fifteen minutes, I create a daily work plan. In this work plan, I first write down any meetings that I have. Then, I allocate time to each functional area depending on the work that needs to be done that day. I make sure that, even if there are not pressing matters in each area, I allocate at least 15 minutes to each area so I get to all emails with the required two business days. Fourth, I follow the daily work plan. With my entire day laid out in increments of time corresponding to functional areas, I am forced to prioritize what is important in each functional area instead of letting my email dictate it. In addition, because I make time for every functional area, I ensure that I am not dropping the ball on any items even if they are not pressing. Since establishing this workflow, I have found that I work more efficiently. Instead of getting bogged down by emails for an hour or two every morning, I spend time focusing on the most important work of the day and answer emails as time permits and as needed within a functional area. Though this method works for me, I know that everyone’s brain works differently and it might not be an effective strategy for all. I would be interested in hearing what works for you. Please feel free to share below. Working with associations, we are always asking the question, “What can be improved?” We look for ways to expand member benefits, streamline processes for the Board of Directors, and otherwise improve the associations we serve. One part of that mission for greatness is conducting annual performance reviews of all our staff. Lindsey VanMeter and Julia Volino of Capital V Consulting gave a helpful presentation on the importance of and best practices for employee performance evaluations during their January 6, 2016, webinar “Effective Performance Management & Discipline Webinar” offered by AENC. Below are the key points that I walked away with and hope to apply in the coming year. It’s important that the feedback is honest and constructive. Many managers don’t want to have uncomfortable conversations, but if these conversations don’t happen, we are doing a disservice to our employees. Conducted properly, annual evaluations encourage employees in areas where they are strong, and provide support in areas where they need to improve. Making the employee part of the overall process is the key to helping them feel they have a say in their growth within the association. Providing time for the employee to share their feedback and personal goals creates a team approach that shows management’s interest in the employee’s role in the association. Annual performance reviews of staff provide an opportunity to benefit the association through evaluating how the team’s strengths are being utilized. Take time to discuss with staff what skills they have that are not currently being used to the best advantage. You may find that someone is interested in helping with social media, HTML, or taking on more responsibilities in conference planning. Also, ask staff where they feel they are not working within their strengths. This opens up opportunities for professional development and training to improve skills where staff is lacking confidence. Or, in these conversations, you may find that some tasks can be shifted within the team so that each person is working within their strengths. Keep a folder for each employee so you can file away examples during the year of where improvement is needed to use as input for performance review. It is always appreciated when you can share an example when giving constructive criticism. Don’t forget to also keep track of the examples where the employee excelled and showed growth! You always want to give credit where credit is due. Do your homework. Look over last year’s review to compare performance. In what ways did the employee improve? Where does the employee still need improvement? Are there goals that were not met? Are there goals that were exceeded? If you are nervous about the meeting, practice. Take the time to practice, out loud, what you are going to say so that you are more comfortable when you sit down with your employee. DO stick to your performance evaluation schedule. One of the most serious complaints among employees is NOT how the review is done, but those that are not done or are late. DO keep a file on every employee. If you only keep files on problem employees, it can be seen as targeting. DO give reinforcing and corrective feedback when needed. If the employee receives a low rating in a specific area during their annual review and it is the first time they have heard that the area needs improvement, it can feel like they have been blindsided. If the annual review is the first time they hear of an issue, you are not giving the employee an opportunity to improve which can be discouraging and frustrating. DON’T rate an employee’s performance based on how they compare to another employee’s performance. Ratings should be based on objective, measurable standards. DON’T use a template review tool. A template is a great starting point, but each evaluation should be customized to the job the employee is doing. It takes time to customize the evaluation but the end result will be more effective and meaningful. DON’T draw your own conclusions. When you are documenting an area where improvement is needed, provide the facts and focus on the deficiencies, not the perceived underlying cause. Facts and solutions are the areas in which you should stay firmly planted. Do you have any other advice for providing effective performance reviews? Share with us in the comments below! We’ve all been through it…the highly anticipated Strategic Planning Meeting of your association’s board of directors. The facilitator has been retained and has conducted the necessary due-diligence. The board and, perhaps, other members of your association’s leadership, have committed the compulsory two-days (or more) for a face-to-face meeting requiring them to travel to and from the meeting site. The staff has printed lists, exported membership and conference attendance metrics from the association database, updated financial histories, done five-year budget projections, prepared the opening PowerPoint presentation and is well-prepared to answer those inevitable, random questions that will surface during the planning process. Everyone has done their homework. They have reviewed the association’s governance documents and attempted to commit to memory the mission statement and goals which will provide a reference point throughout the planning process. Everyone arrives at the planning meeting eager and anxious to begin planning. Depending on the facilitator, the process will take different forms for different associations but the objective is the same – a roadmap for the association’s future spanning two-, three- or five-years; hopefully not more than that. A skilled facilitator will keep the discussion within bounds while still allowing the creative ideas to propagate. Day one tends to involve visioning for the future of the association, while day two defines the nitty-gritty of the strategic priorities, goals and action steps. Everyone leaves the planning meeting inspired by the cohesiveness of the group throughout the process and enthusiastic about what the future of the association. Members return to their offices and the bulging in-box. The staff returns to headquarters and is submerged in the day-to-day activities of managing the association. Enthusiasm dissipates…not from lack of desire but for lack of time. When the board looks at the new (or updated) strategic plan two weeks later, they begin to consider critically the results of their effort and question how all of this can possibly be accomplished within the established timeframes! Without budgetary support and operational resources, strategic priorities will languish incomplete or not even launched. Each time the board reviews progress on the strategic plan those same deliverables will not show progress. The concept might have merit but without a concise directive, financial support and staff resources, it will never have the traction needed for action. How do you avoid this all-too-common syndrome? Frequently, this question is lacking during the excitement of the planning process, “Is this idea/goal/strategy fiscally viable and operationally doable?” This is not a rhetorical question, but one that needs to be asked and answered each time a strategic initiative is proposed. Yes, it can be a bubble-buster in the midst of the euphoria of planning, but reality-checks are an important element of the development process and can prevent unrealistic goals and strategies from being included in the final strategic plan. To get from development to accomplishment we absolutely must have doable goals that are supported by the association’s resources. Want to know more about association management? Contact us at info@imiae.com to learn more about what IMI Association Executives can do for your organization. At IMI Association Executives we hold it as a key value to continue to advance our skill through professional development opportunities so we are able to better serve our clients. We also encourage our team to be involved in professional associations in order to learn from other like-minded individuals. On Friday, November 20, 2015, IMI was pleased to send two team members to the Association Executives of North Carolina (AENC) Marketing & Communications Conference and Luncheon at the Raleigh Marriott Crabtree Valley. At the AENC meeting, one of our very own, Sabrina Hunt, was honored with the Operation Annual Meeting Scholarship for the 2015-16 year. Hunt proudly accepted her award from Nancy Lowe, Scholarship & Awards Chairman. Sabrina will have the fortune to attend the 2016 AENC Annual Meeting in Williamsburg, Va., with all key expenses paid. AENC’s mission is to advance the field of Association Management by providing networking and professional development, while increasing the recognition of the Association community. AENC offers five scholarship opportunities to association members for a variety of professional development advancements. Sabrina Hunt joined IMI in 2015 and has more than 13 years of experience in Executive Support, Office Management, HR, Process Improvement and Project Management in the different industries of medicine, manufacturing and executive suites. Her favorite part of the AMC industry is working with a team of expert professionals and seeing how the shared resources strengthen the team as a whole and draw out the best in the individual. Learn more about Sabrina here. With so many emails flooding our inboxes each day, it’s important to follow some email etiquette to keep our communications meaningful for the reader. Before you hit “send” next, check out this list of 5 Tips to Avoid Being an Email Offender. 2.) Respond to the entire email. Have you ever sent an email that included multiple questions, only to receive a response stating “yes”? If an email asks several questions, be sure to respond to each one. 3. ) Monitor your use of reply all. Do not use reply all when only the sender needs your response, but only if all recipients would benefit from the response. Avoid generic responses such as “thanks” or “me too” via reply all. 4.) Get to the point. 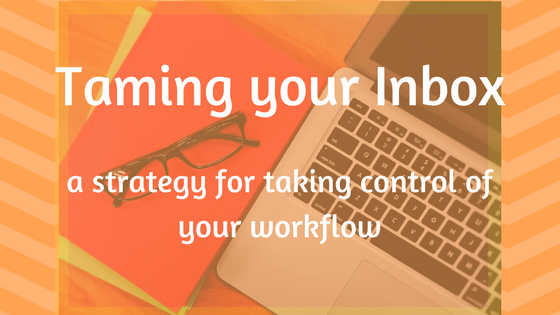 Keep emails brief and to the point. State the purpose of the email within the first two sentences. Consider using bulleted lists instead of lengthy text. 5.) Use a clear subject line. Make your email stand out in the clutter by including a subject line that gets to the point. Ensure that the subject line matches the subject. What are the common email offenses you see? Share in the comments below! I love a good “list post.” You’ve probably seen them everywhere: Top 10 Ways to Simplify Your Life Before Breakfast, 5 Ways to Be a Superhero Every Day, or 7 Movies You Didn’t Know Are Based on a True Story. List posts get you to the information you need without a lot of fuss and then get you on to the rest of your day. In honor of this perennial favorite, we present to you a roundup of the top list posts from the IMI blog! Our team shares the sessions we just can’t stop talking about. If your Tuesday feels like Monday 2.0, this post is for you. Help the new employee or volunteer acclimate quickly with these tips. Whether you love Excel or love to hate it, these tips will make your day easier. Here’s what our team is raving about right now. What happens when 10 executive directors brainstorm a better board meeting? You get this post. How to bring in those volunteers and then keep them engaged. We love a good book! Lessons from one year in membership services. This is our very first post on the IMI blog and it’s worth repeating! Do you like list posts or do you prefer a traditional blog post? Share with us your favorites in the comments below! We’ve all been there. You’re sitting in a group meeting nervously tapping your foot and wondering if you should speak up with your idea. Or, worse yet, the collective sigh as you asked a question left you wondering if you spoke out of turn. How do you know if it’s the right time to share your idea? Here are a few questions to ask yourself before speaking up in a meeting. Is the idea on topic and on task? If it’s on topic, on task, and an appropriate time to speak up, go ahead and share! If you plan to say, “This is off topic, but …” you should plan to bring up the idea later. You want your contributions help to achieve the goal of the meeting – that will always help you look good. Does the concern or idea affect the entire group? If you want to try a new process but it might affect others, such as cause them to receive emails about the change or affect how their normal procedures work, it’s definitely a team concern, so speak up! If the question is only for your supervisor and doesn’t affect the rest of the team, it’s likely a personal question in disguise. Can the question be answered quickly in an email? Send an email unless it’s an FAQ others are concerned about, too. Has someone else already expressed the concern? Make sure that your question covers new territory or asks for clarification on a particular point. If you’re confused about details, it’s likely others are, too. Does it require a long explanation? If the idea can’t be explained simply, the idea probably isn’t fully developed. Refine your pitch to be brief and focused on the goal of the meeting. Does it require sharing confidential information? Never betray a confidence. You should rework your comment to include only appropriate information or don’t share it. Remember, loose lips sink ships. Will it put a team member in a negative light? Don’t throw your teammate under the proverbial bus – especially in a group meeting. Carefully craft your comments to be solutions focused before you share your idea. As always, a good rule of thumb is that it’s better to be safe than sorry. Still unsure? During an appropriate time in the meeting, such as the Q&A at the end, ask, “Do we have time to cover [topic]?” Keep this request just as brief and simple as that. Be sure to wait for the leader to respond before you go any further. Remember, the idea doesn’t have to “die” just because it isn’t shared in the meeting. Great ideas that are off-topic are still great ideas. Make a note of those sidebar, off-topic ideas and share them with the appropriate person after the meeting. Often, it’s less about when you say something and more about how you say it. It helps to think about how you want people to perceive you. Do you want to be seen as being solutions oriented, a problem solver and a marvel of efficiency? Shape your questions and comments around those ideas. Whether you share in the meeting or afterwards via email, make sure you pass along your innovative ideas. Your team needs your valuable perspective! Looking for new and different inspiration for your associations? Check out a TED Talk. Most of the Talks are about 20min long, which is the perfect length to view over lunch and refresh your mind for the rest of the day. While TED Talks aren’t specifically about associations we think the concepts can provide inspiration for any organization. What are your favorite TED Talks? Let us know in the comment section below. Whether it’s a one hour webinar, a conference, or a certification program, professional development is an important investment of our time, resources and attention. How do you make sure you are getting the most out of your investment? If you’re attending an event, find out if any colleagues plan to attend as well. For the 2015 ASAE Annual Meeting in Detroit, IMI sent four staff members which allowed us to take advantage of a variety of the concurrent sessions and maximize the information we learned. Going as a team also helps to alleviate that disappointment when you simply can’t make it to a session on your “wish list.” You can coordinate schedules to see if someone is able to sit in the session for you. Immediately following the event, get together with attendees and discuss the highlights. Talking through the information can really help to solidify concepts and flesh out ideas. Also, hearing how others experienced the event provides “fresh” eyes on what we experienced. Don’t forget to make a list of any action items that come up as part of the discussion. If you didn’t attend with colleagues, you can journal or write a blog post for a similar effect. What did or didn’t work for you as an attendee? How did the speaker make you feel? What made the session engaging? Would you attend next year? Make sure that you share the knowledge and ideas with the entire team – not just those who attended. IMI best practice is to share meeting notes and any resources with the entire team so that everyone can benefit. Get in the habit of taking good notes! If you take notes the old-fashioned way, like I do, type up the important concepts after the meeting. During a webinar, screenshots are helpful to capture visual resources and quickly summarize key points. Applying the new information is the most crucial part. One thing I like to do is carve out a small block of time following the meeting to make the first steps on those action items or to schedule further time to research. Perhaps you need to redesign your Twitter header, set an appointment with your insurance agent, schedule a staff meeting to discuss a new process, or research a new association management system. Break any large tasks into smaller, manageable tasks. At next year’s conference you’ll be able to look back and see how far you’ve come. Stay tuned for a list of our top ASAE sessions and more about what we learned. Do you have any tips for getting the most out of your professional development opportunities? Let us know in the comments!